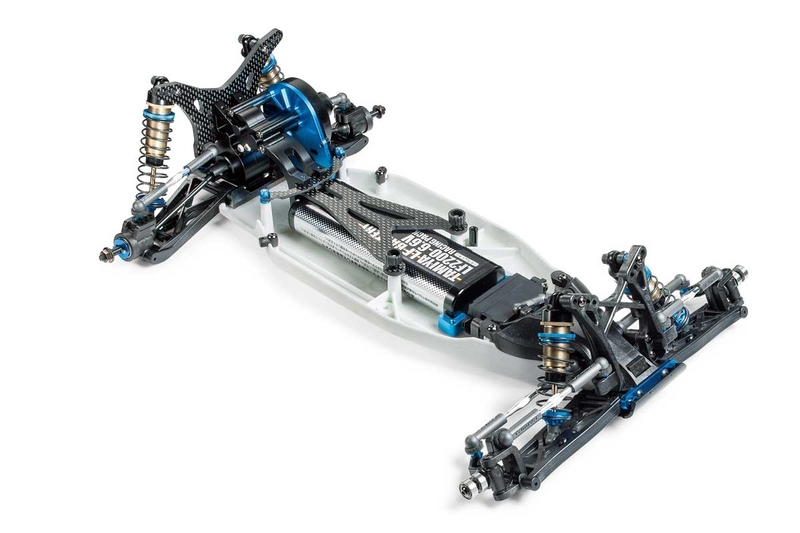 This is the latest evolution of Tamiya"s flagship 2WD racing buggy. The TRF211XM chassis is a high-spec off-road buggy designed to compete in top-end racing, with the grip and road holding to take on the very best that this seriously competitive arena has to offer. It features a whole host of newly-designed parts, including a plastic lower deck specially produced to offer sublime balance. This seriously speedy buggy is unfazed by bumpy, undulating off-road surfaces. Special Feature 1 New lightweight resin bathtub chassis offers excellent balance of rigidity and flexibility. Special Feature 2 It can be used with a wide variety of battery pack types including separate type battery pack, or a combination of straight type battery pack and a low-profile servo. Special Feature 3 Rear stiffener and battery stiffener parts are attached to each other during assembly, improving rear rigidity. Special Feature 4 4-wheel double wishbone suspension is paired with big bore aeration dampers. Special Feature 5 Includes lightweight 0.6mm thickness body from RC Body set Item 84374 and wing. Special Feature 6 Comes with durable brass Rear F suspension mount. Special Feature 7 Universal drive shafts are secured using axle rings. Special Feature 8 Slipper clutch pressure plates feature indentations to allow more efficient cooling. Special Feature 9 Features an aluminum gearbox with a choice of ball or gear differential units.